Cuisinart is a trusted brand when it comes to the kitchen. 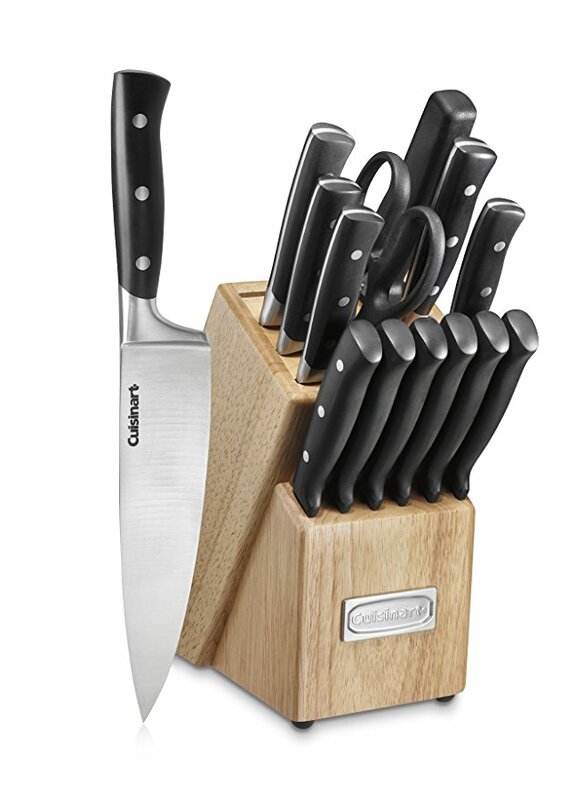 If you are in the market for a knife block set for your kitchen, I recommend looking into Cuisinart first. Who knows, you might find a deal! A deal such as this one: Right now, this 15-piece is 58 percent off. That is over $90 worth of savings. 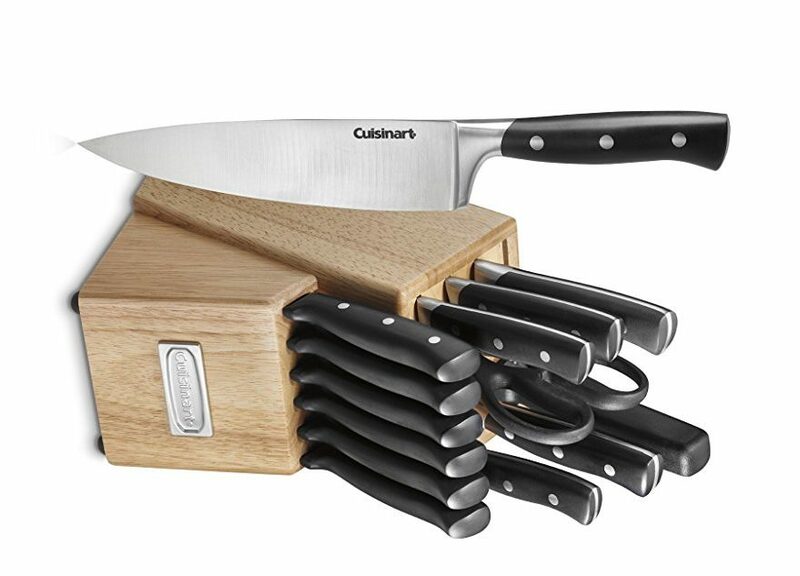 This classic cutlery set includes an 8-inch chef knife, an 8-inch bread knife, an 8-inch slicing knife, a 5-inch santoku knife, a 4.5-inch utility knife, a 3.5-inch paring knife, an 8-inch sharpening steel, all-purpose household shears, six 4.5-inch steak knives and a wood block to hold them all.